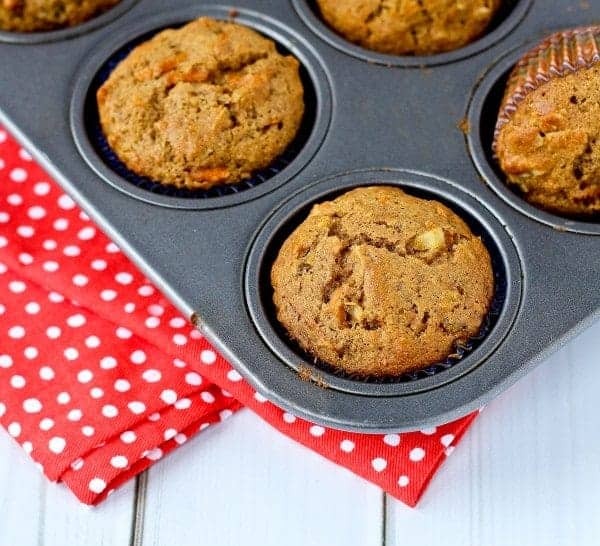 There aren’t many better ways to start your day than with one of these morning glory muffins. 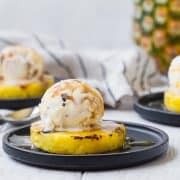 Filling, flavorful, and oh so satisfying thanks to carrots, pineapple, coconut and raisins. Do you all know Andie? I just adore Andie. She’s sweet, genuine, and unbelievably talented. 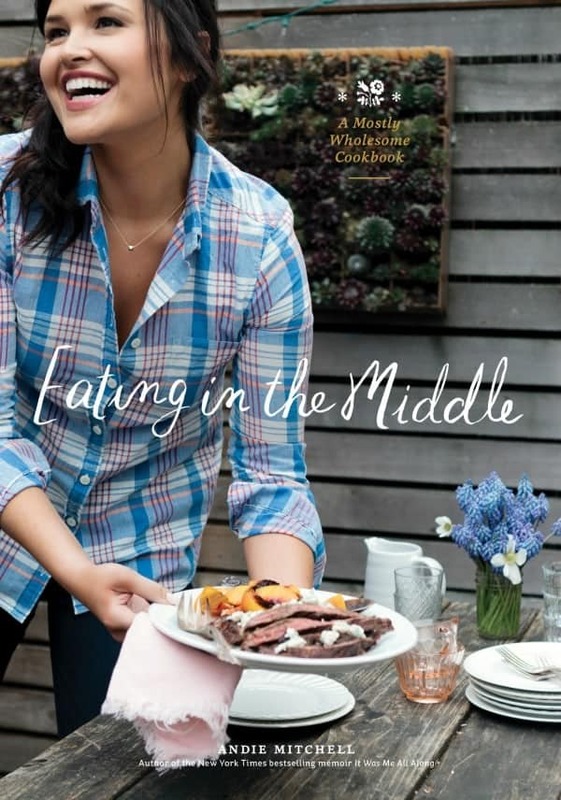 And lucky for all of us, she just released her second book – a cookbook! I come across, read, and cook out of a lot of cookbooks. This one, however, was basically created for me. And if you guys like the way I cook here on Rachel Cooks, my guess is this cookbook will be perfect for you too. It’s all about balance, about Eating in the Middle. We’re not talking about kale salads 3 meals a day. We’re also not talking about eating an entire pie in one sitting. It’s about finding a balance between indulgence and healthy choices. She says it better than me, of course, since it’s her book (highly recommend….GET IT!). We’re talking about easy swaps to make things lighter and healthier. Whole wheat flour in these morning glory muffins. Smaller portions of some things. Hearty, filling, flavorful salads that won’t leave you looking for more. But dang it, have that scoop of ice cream when you want it! Just don’t eat an entire container in one sitting. And hey, have that popcorn, just don’t eat a giant bowl of it every night. Okay, well, I’m still working on that one. No one is perfect, after all. I just love this book and can’t wait to cook my way through it. 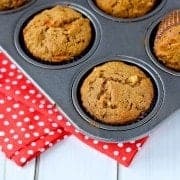 These morning glory muffins are easy to make and my entire family loves them. I use whole wheat flour in many recipes, so that came as no surprise to my family. 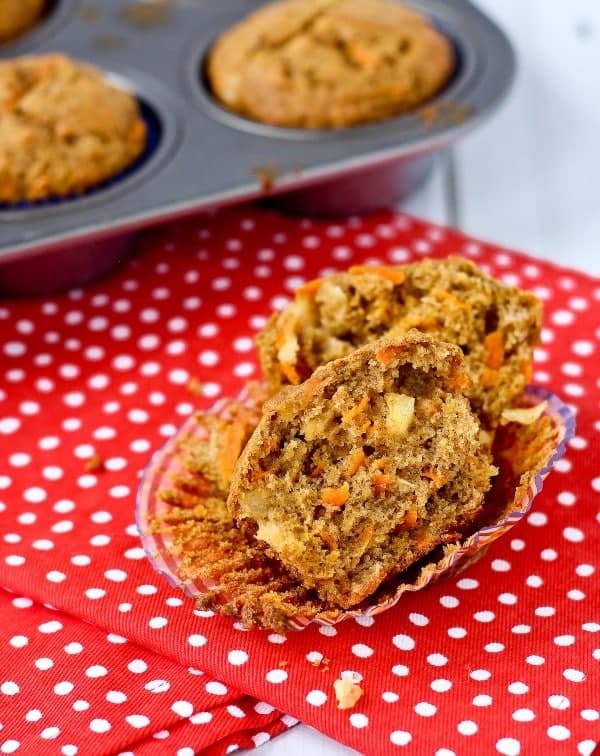 But we loved the hearty texture of these muffins and the flavor of the carrots, pineapple, raisins and coconut. This recipe is definitely a keeper and a great way to start the day. In all honesty, part of the reason I chose this recipe out of the book was because I had 6 or 7 recipes to knock out on the day I was making these muffins. I wanted something that I could whip up, throw in the oven and bake while I started on recipe #2. Plus I had a bunch of entrees on my to-do list and I wanted something the fam could eat for breakfast. These morning glory muffins were so perfect. I think the next recipe I’m going to try out of the book is Andie’s brown sugar and chili-rubbed salmon with avocado crema – it sounds like the perfect summer recipe, doesn’t it? Preheat the oven to 350 degrees Fahrenheit. Line 18 standard muffin tin cups with paper liners. In a large bowl, whisk together the flour, sugar, baking soda, baking powder, cinnamon, and salt. 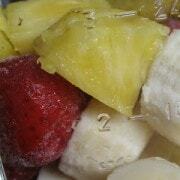 In the bowl of a stand mixer fitted with the whisk attachment, beat the oil, eggs, and pineapple. Add the flour mixture and beat until just combined. Using a spatula, stir in the carrots, raisins, and coconut. Scoop the batter into the prepared muffin cups, filling each three-quarters full. Bake until a toothpick inserted into the center of a muffin comes out clean, about 20 minutes. 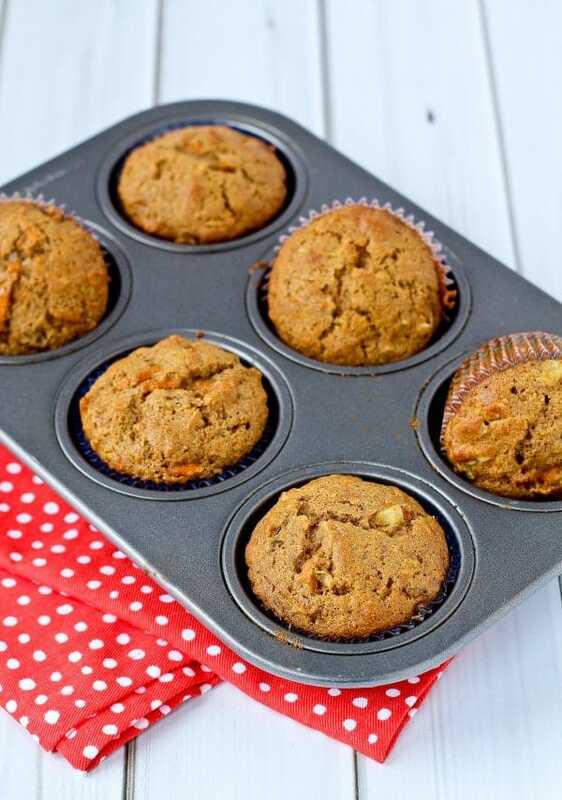 Transfer the muffins to a wire rack and let cool. Serve warm or at room temperature. The muffins will keep in an airtight container at room temperature for up to 4 days. Verdict: I loved these morning glory muffins. I’ll definitely be making them again soon. Husband’s take: Ben and the kids loved these. Changes I would make: None are necessary – they’re perfect the way they are. Just because it’s how I roll, next time I might try subbing out some of the oil for applesauce or yogurt to try to make them even lower in calories. Disclaimer: I was provided with a review copy of this book at no cost to me. All opinions are my own. I love this book. This book is totally up your alley! Rachel, do you think I can freeze part of muffins after baking and cooling? My family will not be able to eat all at once but I would really enjoy them as an ’emergency’ morning meal. I have a bag in the freezer right now, so yes! I’ll admit we haven’t tried them yet out of the freezer, but I typically have great luck freezing muffins. Sometimes they get a tiny bit drier but these have so much good stuff going on in them, you won’t even notice. I absolutely adore Andie, her food and her story are so inspiring! you remade these muffins beautifully, they sound delicious. I agree — all the recipes are SO gorgeous! 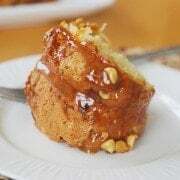 I can only imagine the amazing flavors bursting from this yummy glory muffin recipe! These are delicious! I made them with gluten free flour and they turned out great. My one question is, do you drain/use the pineapple juice or not? I was not able to find an 8 oz can so I bought the standard 20 oz can. I drained the liquid. 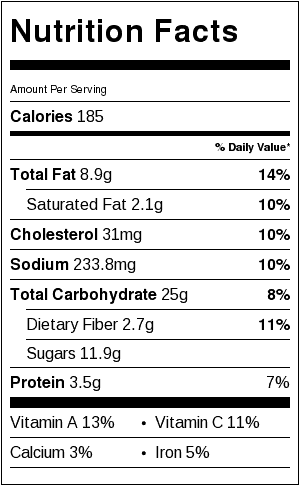 It turns out that a drained 20 oz can of crushed pineapple is almost equivalent to 8 oz of crushed pineapple alone. The batter was a little thick. Just asking for the next time I make these because they have become a new favorite. So glad you liked them! I did not drain the liquid when I made mine. These were a smash hit at my ladies fellowship mtg. last night. I doubled the recipe since I want more than 30 and since my carrots were a bit on the small side I put in a total of 10 instead of 6. Super super moist! Thank you! !